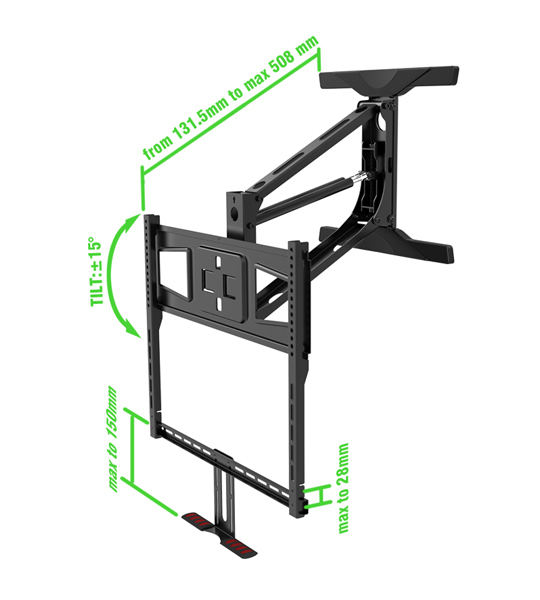 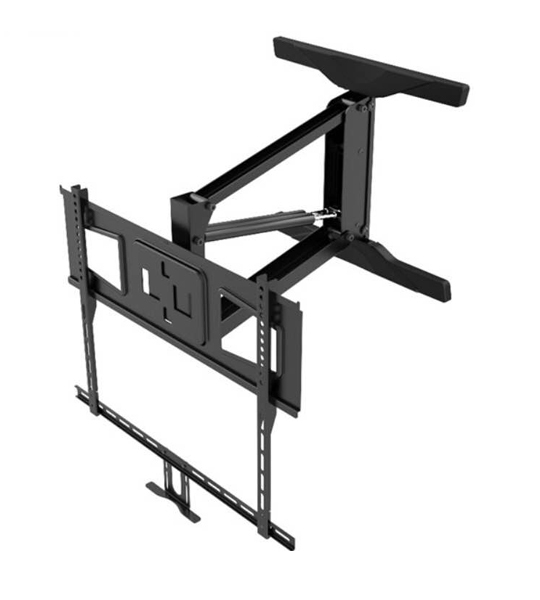 Tranquilmount TV wall mount is one of its kind in the UK. 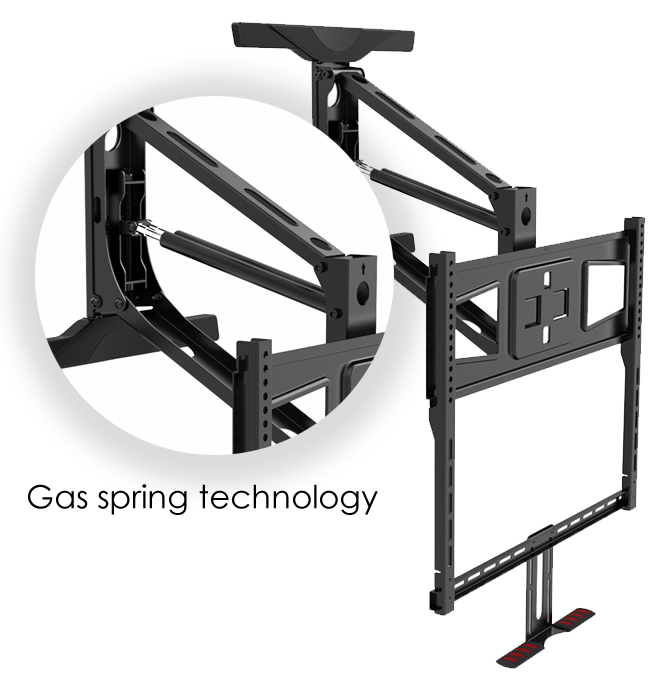 It makes use of gas spring technology. 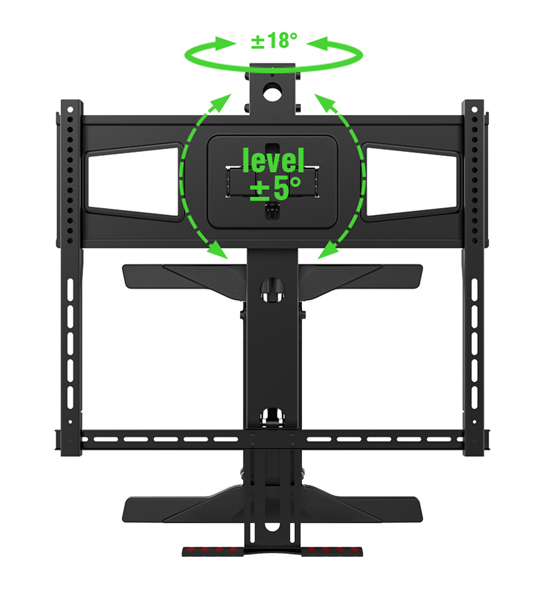 It has been uniquely designed to offer the ability to swivel and tilt the TV easily and with the added feature of pull down TV and position it to eye level or in front of the fireplace. 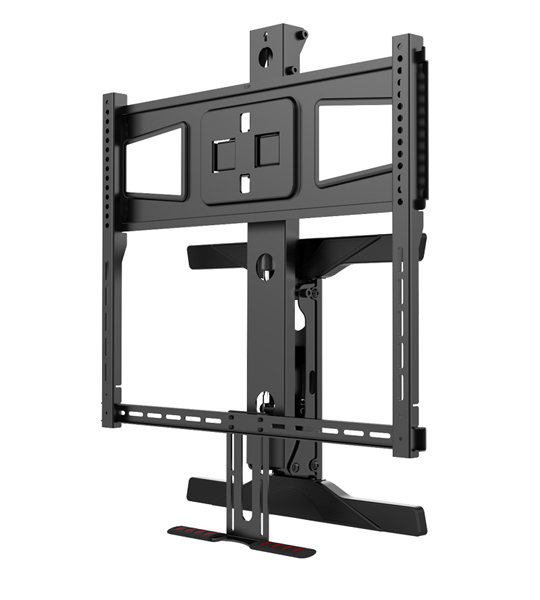 The idea stemmed out of the Mount TV bracket being too high above the fireplace. 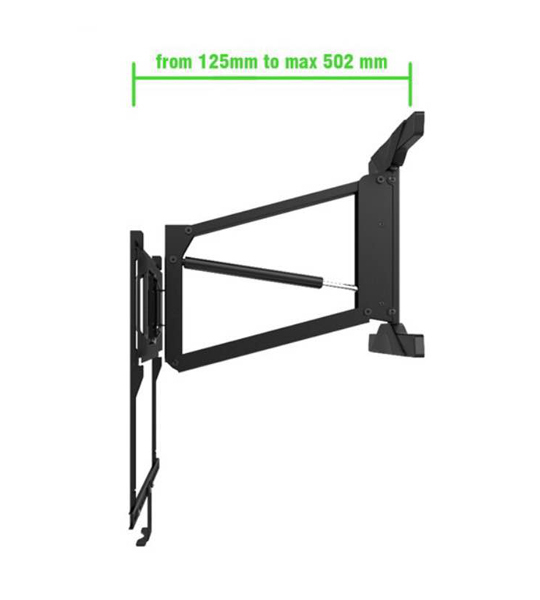 It can easily be pushed back to its original position high above the fireplace or wall.